Watching a sliver of warm gold creep up the shutters to illuminate a leisurely breakfast. 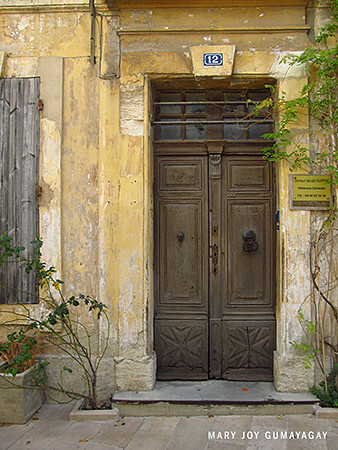 Languidly strolling through the village, sans carte, and finding a picturesque courtyard. 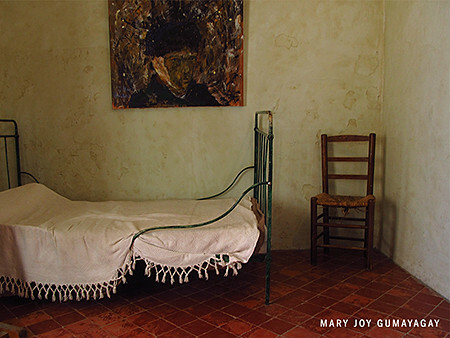 A pilgrimage to a favorite artist’s quarters; almost a prerequisite in this part of France. Adding a wonderful candidate to my collection of doors. 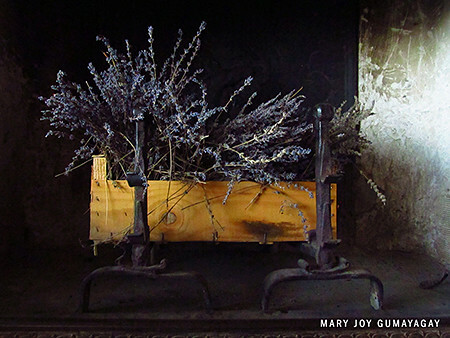 A bouquet of lavander, tossed in the hearth, for winter fires. 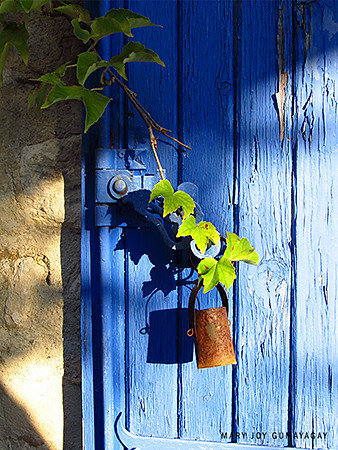 More photos can be found in 2016 Provence. 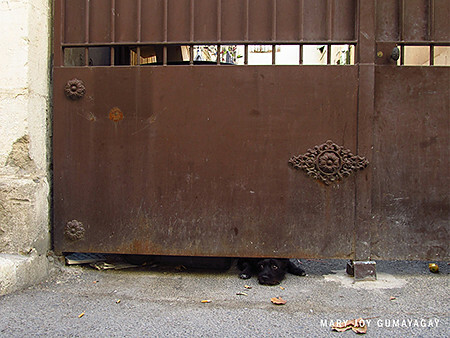 This entry was posted in France, TRAVEL on October 13, 2016 by Mary Joy. I’m very much a scarf/wrap kind of girl. While I appreciate the intricate, gossamer delicacy of lace, I prefer simplicity and solidity. I like pretty, sometimes with purpose. Earlier this year when I decided to knit again, I thought I’d try to come up with some kind of thing that would have scarf characteristics but remain firmly in shawl territory. A shawl shape: a semi-circle. A scarf silhouette: straight edges. A shawl motif: lace, but not too lacy. A scarf background: stockinette stitch. While I was knitting away on my design, I decided to submit it to WEBS’ open call on Ravelry. Sure, why not? If my proposal was accepted, maybe I’d start knitting and designing again… Fortunately, the staff at WEBS liked my thing, and here we are. Sequoyah is available in print and pdf at WEBS and Ravelry. You can also read a short Q&A session on WEBS’ blog. All images © WEBS Yarn. This entry was posted in Patterns on June 15, 2016 by Mary Joy. The art of shawl wearing, from yesterday’s photoshoot. More #indiedesigner pieces in #valleyyarns coming soon! 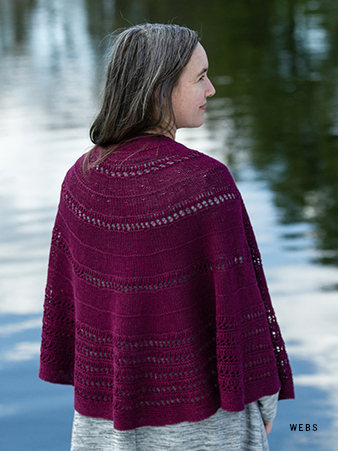 Summer days call for #shawlknitting, summer nights call for shawl wearing! 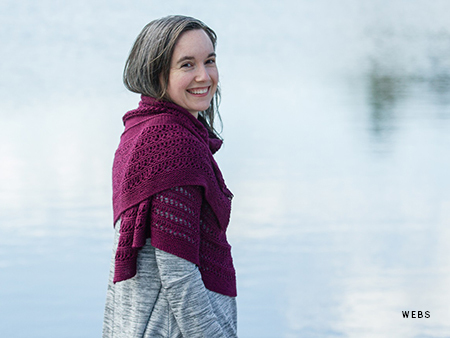 We’re loving the Sequoyah Shawl. 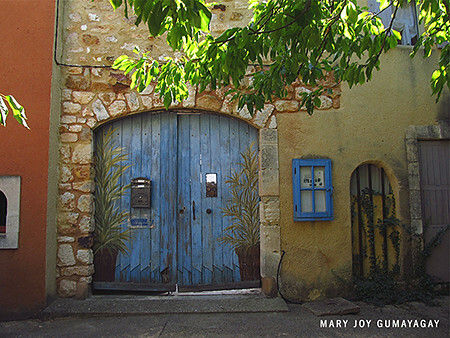 This entry was posted in Patterns on June 10, 2016 by Mary Joy.